Is your drug test today and you need infomation fast? Are you caught up in a situation where you don't have time to wait for a product? Do you need a comprehensive list of drugs that can cause a false positive? 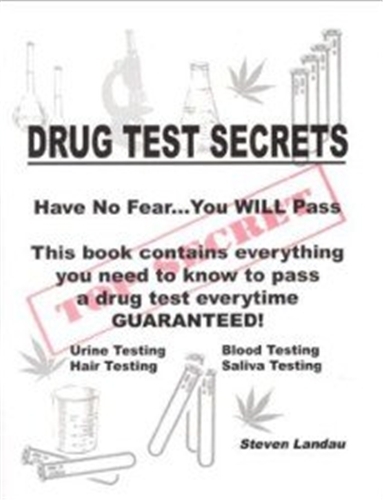 Drug Test Secrets - in .pdf format - has everything you need to know about how to pass a drug test. The author points out in detail what will - and will not - work, the myths, and the methods that are truly effective in a drug testing situation. This includes helpful information for the urine, hair, saliva, blood, sweat, and finger nail test as well as false positive information on over 500 prescription and over-the-counter drugs. 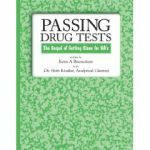 If you are truly wanting a book that cuts to the point then this book is for you.We guarantee that you will learn something new about drug testing. The download link and password are sent to your email after payment.